The 2019 Uganda Marathon Projects - An Adventure Like No Other! Here are the amazing projects that you can support this year through the Uganda Marathon. Each one is locally organized and community-owned. You can help these people directly - and then meet them in person to see the legacy that you've created! Young Mothers displaying the confectionary that’s packaged and ready for sale. Out of the 1.2 million pregnancies recorded annually in Uganda, it is estimated that a staggering 25% are teenage pregnancies and an astonishing 57% of them give birth before the age of 16. 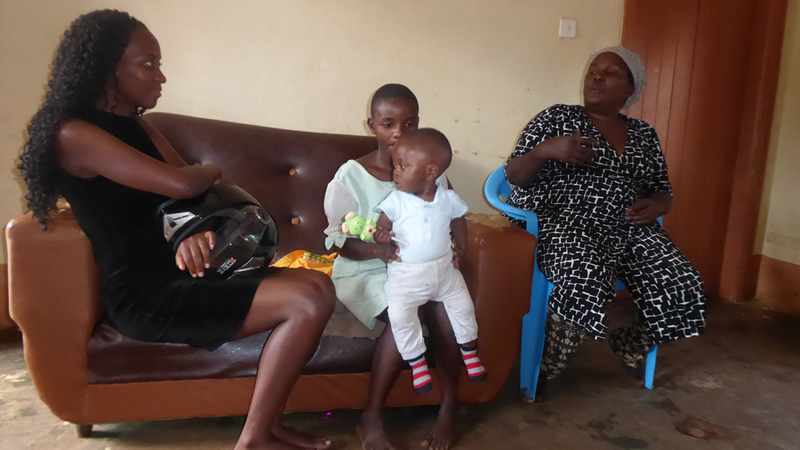 Elite Uganda target these teenage mothers to help them continue their education and be able to support themselves financially. 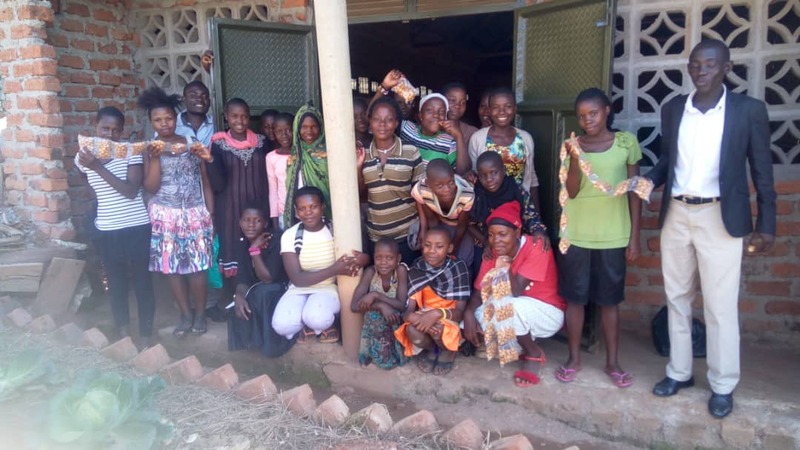 They recognise that each individual needs a different approach, so they work to either reintegrate the mother into education, develop youth vocational skills or help them achieve a business start-up. 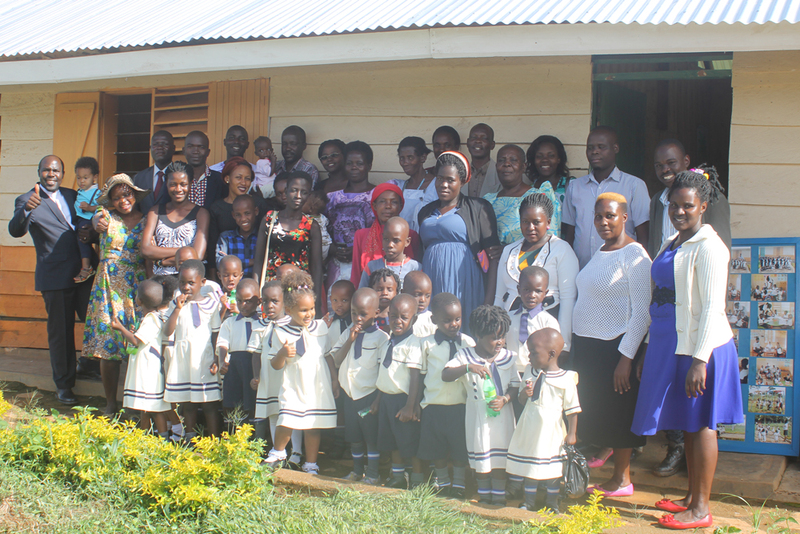 Elite Uganda’s work in the Masaka region reaches hundreds of young mothers who are in severe danger of halting their educational development. 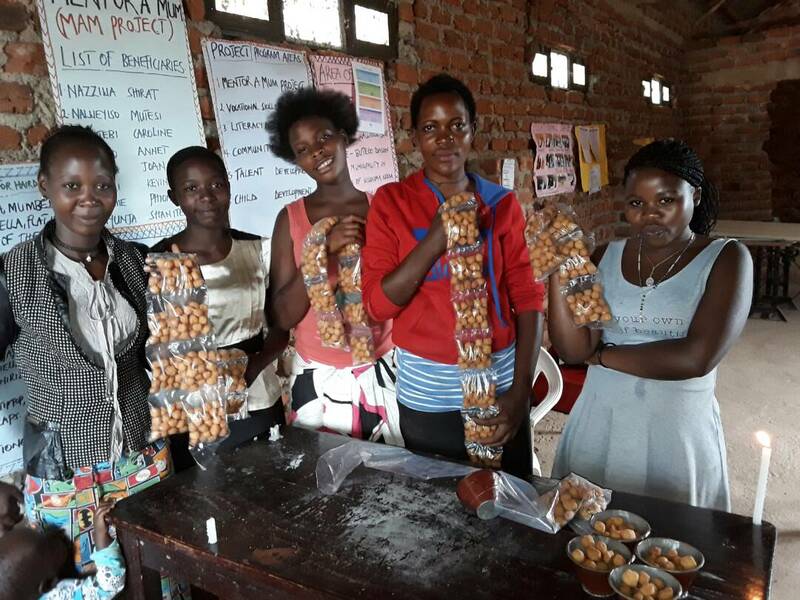 With funding from the 2019 Uganda Marathon runners, we plan to help them get more mothers starting their own confectionary business, creating the facilities for mothers to learn baking and basic business management, which will meet the growing demand for confectionery in the area. Goal 1: Increase the number of beneficiaries undertaking their own confectionary business by 100% supporting 200 young mothers. Goal 2: Create 10 collectives of 20 young mothers each with their own management systems and linked to a skilled business mentor. Goal 3: Create effective collectives that after 3 months of operations can save in net profit $133 monthly to be used in emergencies by collective members. Young Mothers during a baking lesson on how to make various confectionaries. In a society dominated by men, women in Uganda are sometimes considered property and second class citizens. 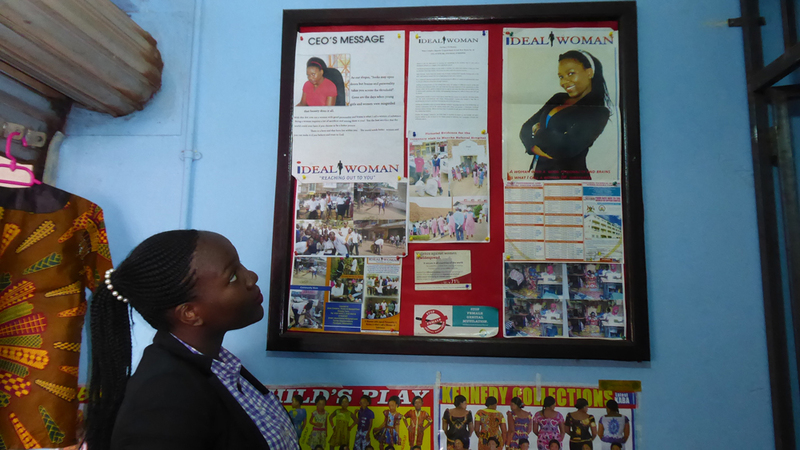 Ideal Women seeks to transform and empower girls and women, deprived of learning, through skills acquisition, self-discovery, counseling, and health education. They understand that “a woman with a voice is by definition a strong woman” and so they work to empower women in need by providing the skills and connections to enable them to become self-reliant and stand on their own two feet. They have found that when the woman in a household is empowered with her own income, she is in a much stronger position to have a say in the household finances and the support of their offspring. We plan to help them expand their tailoring initiative to enable the women to gain a higher income. 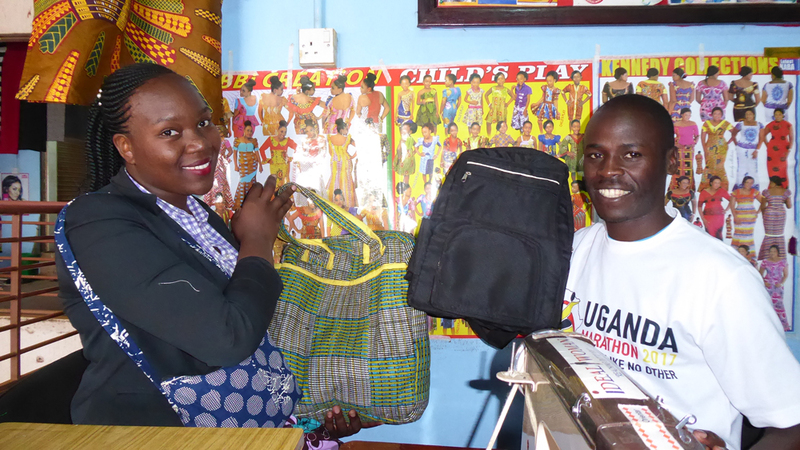 Uganda Marathon team member posing for a photo with the director of Ideal Women, showing some of the products that they make. In the area that House of Love and Hope work in, an area which lies on the marathon route, 7 out of 10 women who leave school are semi-literate. These women become housewives and unemployed mothers who are at high risk of domestic violence due to prevailing poverty in their homes. House of Love and Hope, an organisation that combats a wide variety of issues felt by women and girls, need funding for an events business that will employ at least 25 vulnerable women. This will allow them to work around the needs of their children whilst getting an outlet to be creative and learn business management skills, as well as being empowered with a stable income to look after their children. Primary education is meant to be free right across Uganda but in reality, school fees for uniform, food, exercise books, pens, pencils, and textbooks make primary education out of reach for many families. St Jude Primary School was established to provide education for children in the rural setting of Bukakata, 33km from Masaka Town. Traveling here will provide you with what is called a true African massage, as you travel along bumpy dirt roads. St Jude Primary School has 250 pupils, 118 boys and 132 girls and 20 staff. All of who, currently do not have access to a sustainable fresh water supply. This puts huge strains on the school, as it requires water for cooking, hygiene, sanitation and of course drinking. Currently, they have to use the local bore-hole, which is congested and causes delays when students have to regularly fetch water, massively disrupting their lessons. With your fundraising, we wish to build a fresh water well to provide the school with clean accessible water. Goal 1: The school to save $23 a term saved from water bills and 2 hours a day saved from fetching water to be utilised for improved teaching. Goal 2: To create a freshwater source to be utilised by 250 pupils and 20 staff in the school. 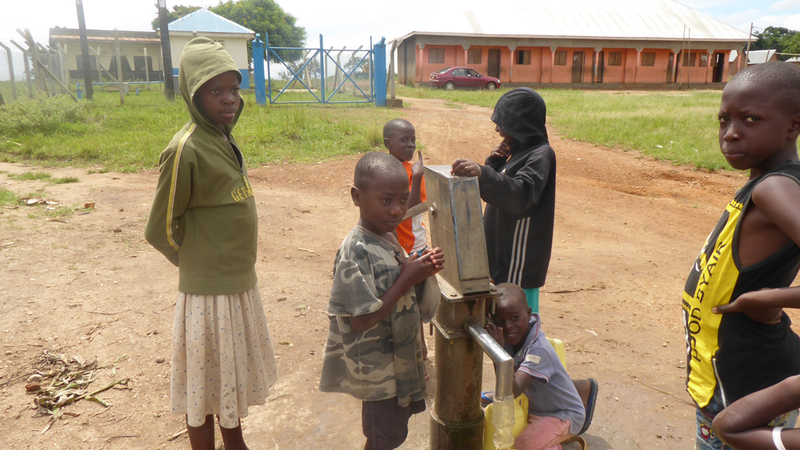 The borehole currently used by the school and shared with the community as the only source of clean water. In Uganda, there is no state system that supports elderly people and culturally it has been the responsibility of the younger generation to support the elders in their family. However, with western influence increasing in Uganda, many young people now move to the city for work and are far less engaged with the older generation. In fact, often the reverse happens where the younger generation leaves their offspring with their Jaja’s (grannies) as they move away to find work. This puts a huge strain on the elderly who are left with more care responsibilities or are isolated and find themselves relying on the goodwill of their community, which fluctuates at best. Kyabakuza STEP is an association that brings the elderly together, creating a community spirit that enables them to support one another. 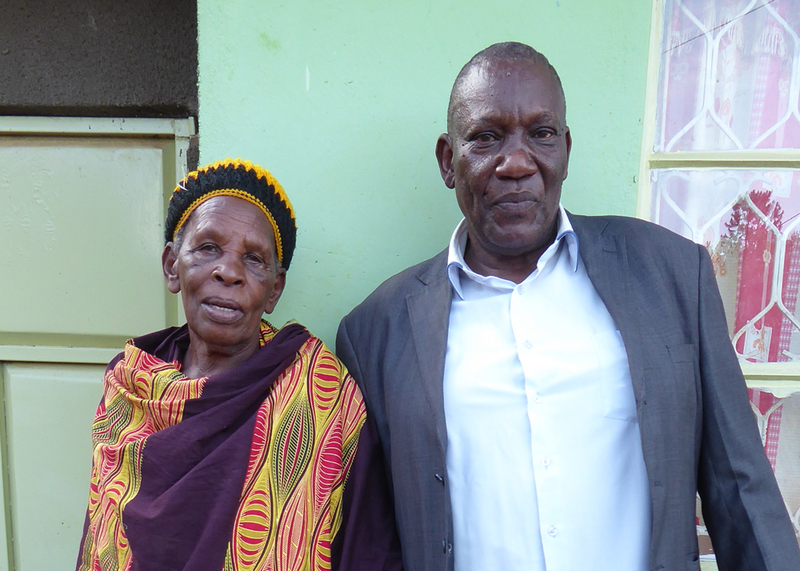 Through previous support by Uganda Marathon Runners, they have helped their members have access to emergency funds for sickness and the education of grandchildren through a pig farm program. This year, we plan to vastly increase their farming to provide emergency funds for a much greater portion of their members. 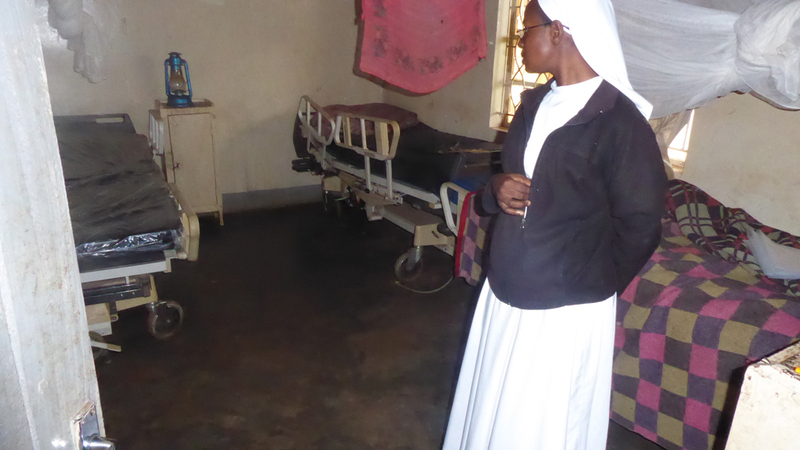 Discrimination and lack of care for the disabled in Uganda is at a heartbreaking level. The severe lack of knowledge or awareness means that people with disabilities are very often not given any opportunities to succeed at all. The story of Mary Kabiito however, is one of awe! After giving birth to 4 severely disabled children, her partner left her. But, rather than get disheartened, she instead built an organisation that now cares for and educates 31 boarding disabled students, and many more day students, from the surrounding community. This incredible school has very limited resources and is in dire need of help with feeding the students who rely on it so heavily. Goal 1: The school to save $213 a month from buying food. Goal 2: To create an educational food forest that can ensure a healthy diet for 31 disabled boarding students as well as the day students. 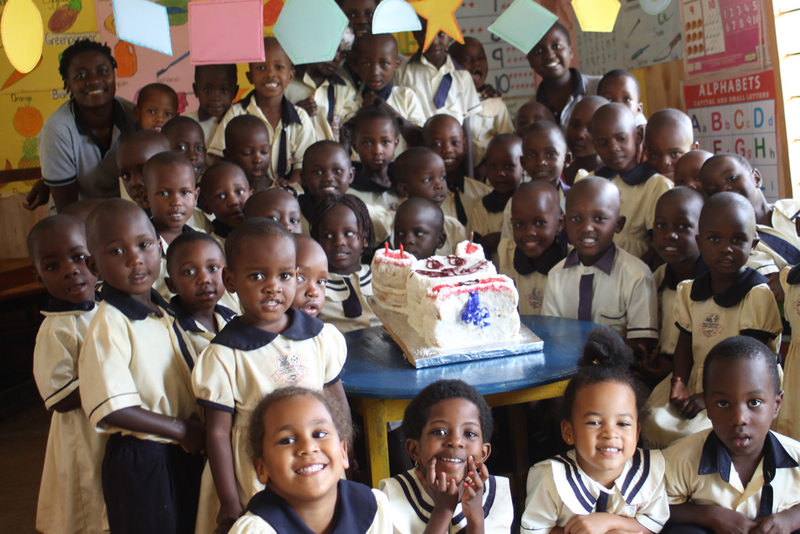 Children at JOMAIN Academy pose for a photo before cutting the cake at their end of year party. It might not look like much, but with support, this academy can grow and thrive. JOMAIN Midland Academy is based on the island of Kalanagala on Lake Victoria, which is in the furthest reaches of Greater Masaka Region. The island has the challenge of having a scarcely spread population, with hundreds of acres of plantations breaking communities. JOMAIN has been established to provide easier access to education for the Bwendero Community – previously, students as young as 3 years old had to walk long precarious distances through plantations, where they were exposed to risks of abduction and abuse. This academy has become a hub for the island community, however they have to rent the boys boarding accommodation, which takes vital funds away from the school. 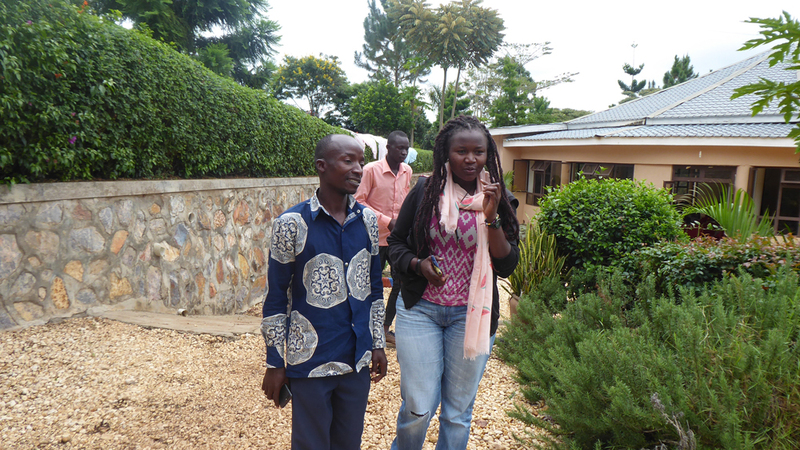 With your fundraising, we wish to build a new dormitory that will save the school money and prevent overcrowding. Goal 1: To safely house 41 girls in the newly constructed dormitory. Goal 2: To generate a further $318 per school term, to be utilised for helping 3 disadvantaged students attend school. Staff members of JOMAIN Academy pose for a photo with their pupils before their end of year parent’s day. Goal 1: To provide maternity services to 327 mothers in 2020. Goal 2: To double the capacity of Ssunga Health’s maternity capacity in 2020. 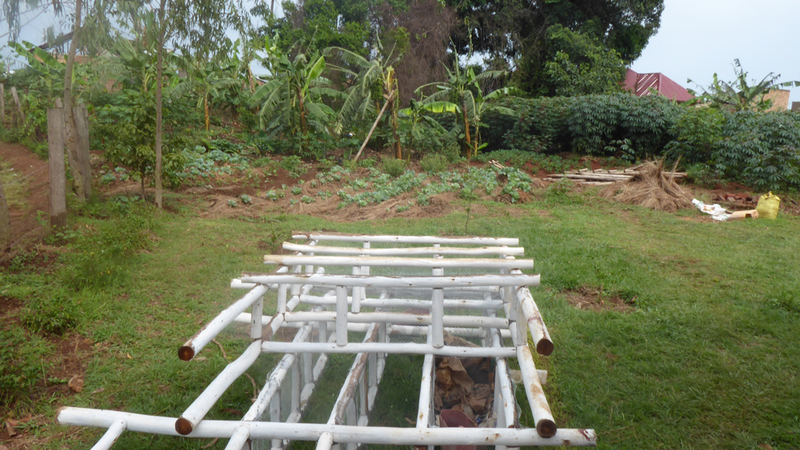 One of the current beds at the delivery ward at Sunga Health Centre. 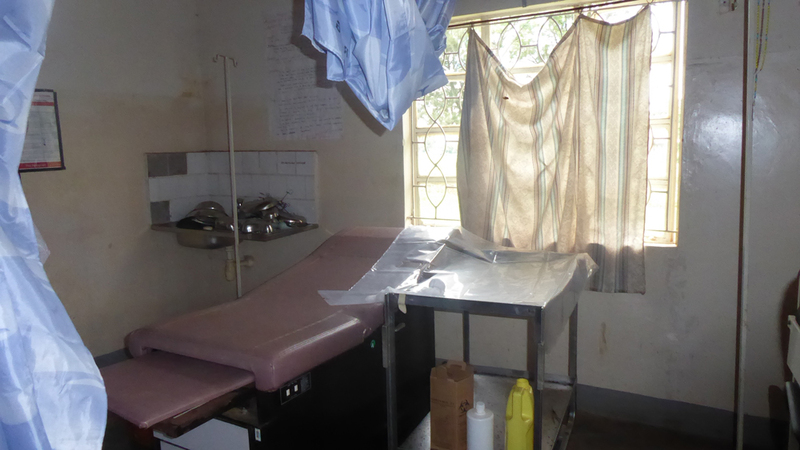 The setup of the postnatal room at Ssunga Health Centre, with currently 3 beds. One of the tools used at Treasure Seed gardens, with cabbages growing in the background. Over the last decade, large Genetically Modified Organisms (GMO) companies have managed to create a monopoly by selling crops that are purposefully designed to only last one season, which forces customers to buy their products every harvest. GMO companies have not only saturated the agricultural market but have also convinced the consumer that straight carrots and perfectly round potatoes are better, forcing farmers to buy their crops. Treasure Seed have been set up to fight this. They are promoting indigenous crops that grow naturally, are much lower risk, don’t require expensive pesticides and will last more than one season. They set up food hubs to demonstrate and teach farmers the benefits of non-GMO crops. They need your help to build a volunteer house that will turn a profit hosting international volunteers. This profit will be used to increase their teaching to needy families who can use this knowledge to farm natural foods to help them out of poverty. Goal 1: To have provided training in indigenous food hubs to 250 youths of Nyendo. 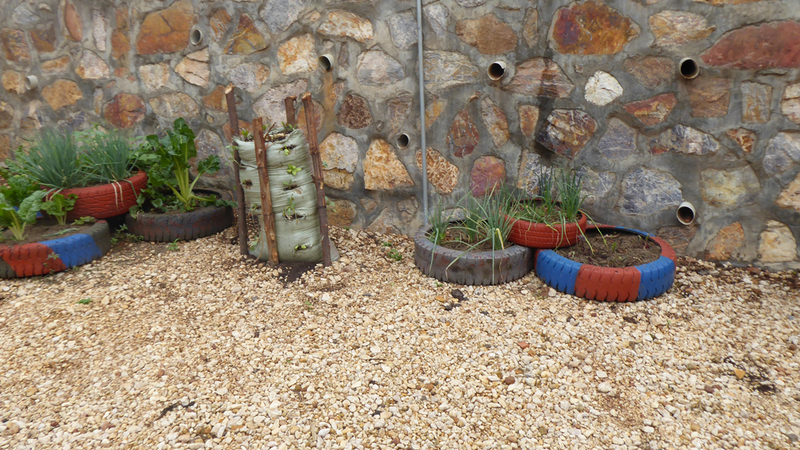 Goal 2: Establish 5 youth groups and 3 women’s groups to run 8 community treasure seed gardens. 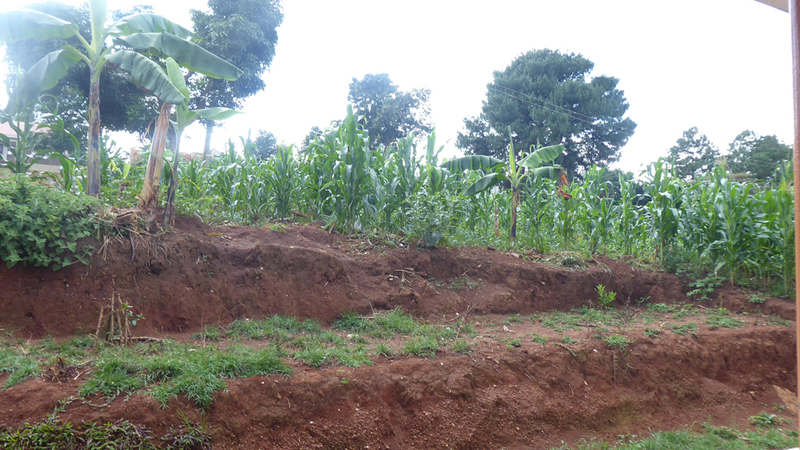 Land is extremely difficult to manage in Uganda. With such a rich climate, often the problem is not how to get things to grow but how to stop things from growing. SCOPE aims to expand the minds of communities by demonstrating to them that any land can be utilised to generate income and provide food alternatives. SCOPE has found their success through targeting schools and creating food forests that provide a teaching tool as well as a vast range of healthy food supplements for the pupils. Schools are a good tool to get deeper into the network of a community, so SCOPE have been able to demonstrate and teach their work to a much wider local audience. Right now, SCOPE has the potential network to hold a mass training session for local community leaders, this will enable them to target their food forests better and have a much greater impact in alleviating hunger for families across the area. 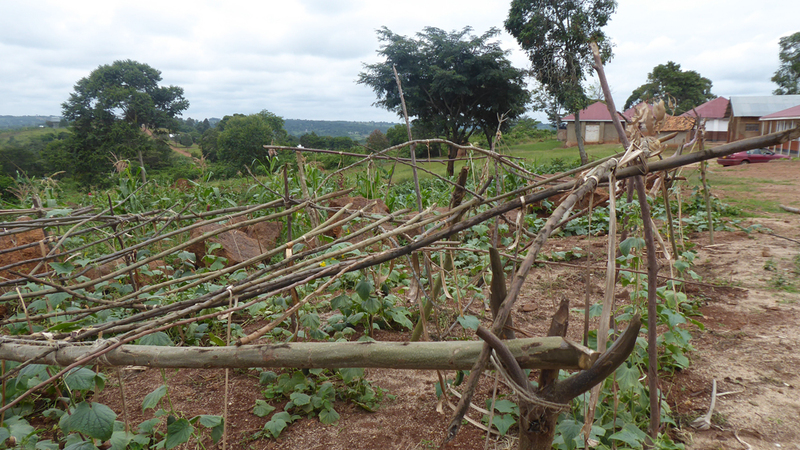 Goal 1: To build 2 more Food Forests in Masaka based schools. Goal 2: To have trained a minimum of 50 community leaders in the development of Food Forests. Goal 3: To have directly supported 550 vulnerable students gain access to school lunches. You can also choose to support our local Ugandan NGO directly – the “Masaka Marathon NGO”. Our Ugandan team works tirelessly across Masaka, reviewing all of these projects, supporting their development, hosting skills exchanges, training and making sure every penny generated by you, the runner, goes to support people in Uganda. Whenever a project is overfunded by the amazing efforts of runners’ fundraising, the surplus is split amongst other projects – including the NGO. We are incredibly proud that every penny, pound and dollar donated and raised by you goes directly to Uganda – to support the people of Uganda, giving them a “hand up – not a hand out”. 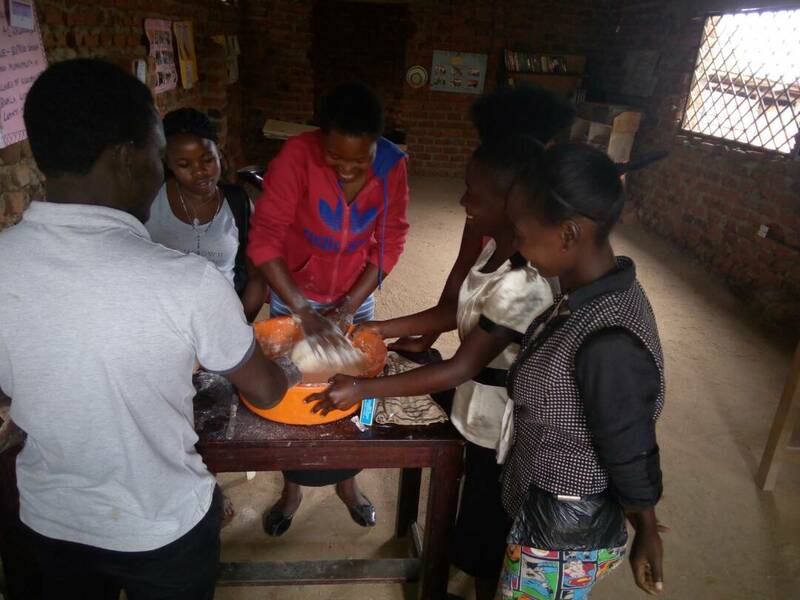 Buddu community Volunteers has been working with youth in Masaka for the past 5 years, helping them gain independence and become self-reliant. Their focus is on supporting the youths to develop a marketable and quality product that they can help take to market. Buddu’s largest success was 4 years ago when they created a liquid soap that was competitive enough to create a mass market. 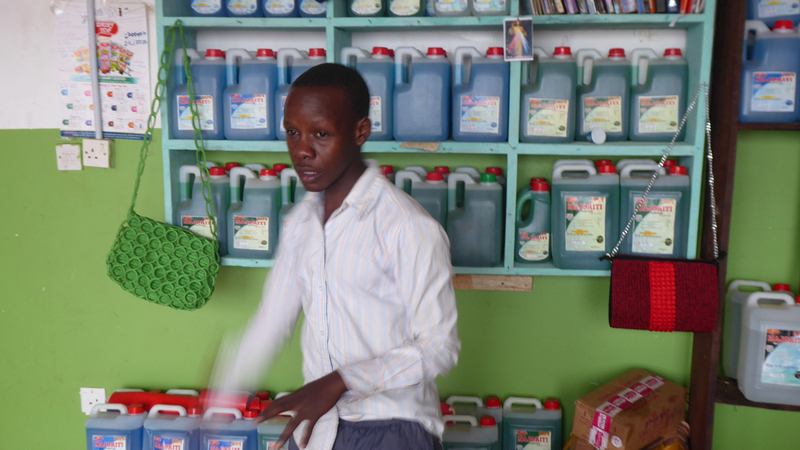 Today, their brand MAJORITI can be found in many retailers across Masaka and Lukaya. Their success has helped them create many youth jobs, and they are now in a position to expand their production lines to create more youth employment. What makes this business special is that they want to plow all of their profit back into their employees through bonuses and development. 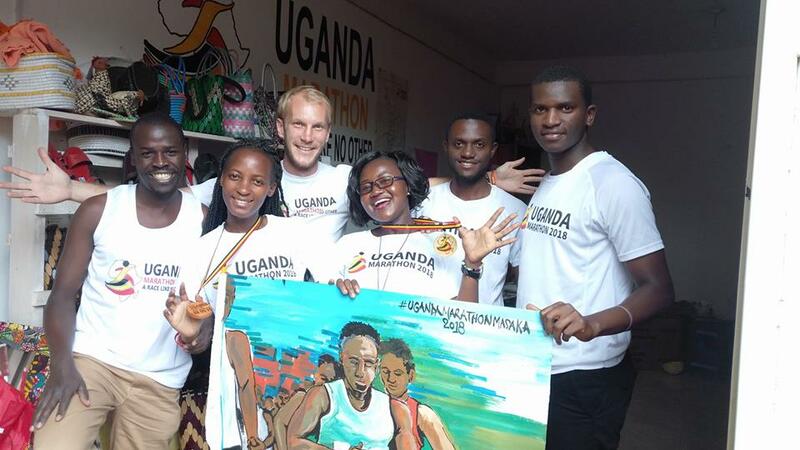 This is why The Uganda Marathon wants to help them expand their operations so they can upskill 150 youths, employing 30 of the best into the sales, production and marketing lines. Goal 1: To support 150 youth to gain an income. Primary school education is free in Uganda. However, there are too few government schools to meet the population’s huge demand, leaving rural communities neglected and without primary education. In areas without government schools the community has to pick up the slack, but these schools do not have any external funding so, in these areas, education is not free. 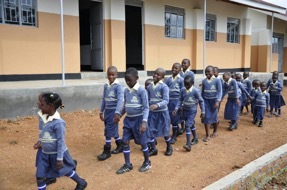 Premier Junior School is based in one of the many sub-parishes that surround Masaka called Kijjabwemi. It caters for families who often struggle to find money for school fee’s, living pay check to pay check or off small hold farm areas. Of the 155 pupils who attend the school, 60 pupils are partly supported with school fee’s, but they often miss exam days when parents can’t afford to pay the standard examination fees, they then don’t receive the necessary qualifications to move through education. Taking inspiration from a previous successful project, supported by Uganda Marathon runners, the school has plans for a poultry project that will provide agricultural lessons, as well as enough profits to fully fund the 60 student’s school fees. A UGM staff member interacts with a girl and her baby who are under the care of Smile. 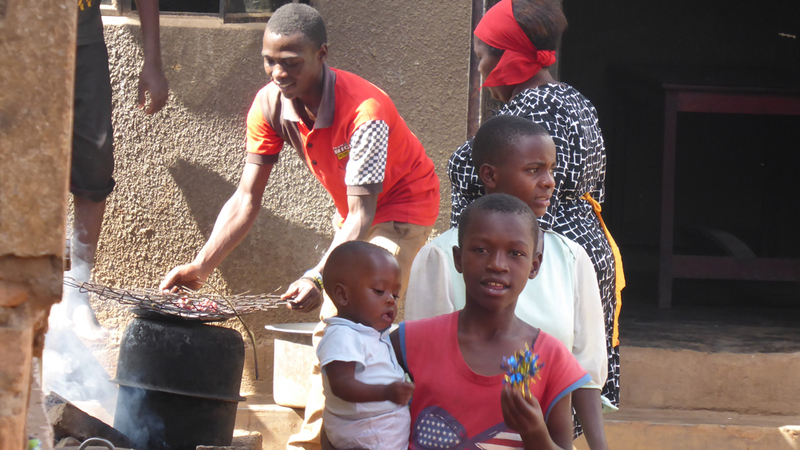 Masaka is a hub for street children who have come from neighbouring smaller villages and towns looking to pick up small casual labour jobs, such as loading trucks. They’ve often run away from their families for any number of reasons ranging from domestic abuse to parental divorce. Once they are on the street, it is very hard to return to their families out of both fear and shame. SMILE work to do all they can to reunite families through counseling and gradual exposure, and for those that cannot be reunited, they offer a safe and loving home. They currently have 31 children under their care, which is a huge undertaking for mother and daughter, Florence and Niona who manage the SMILE home. Currently, their biggest challenge is food security however, they have recently been offered a plot of land to create a SMILE Farm for only $26 a month. This farm gives them the opportunity to grow much of the food they need, as well as being able to teach the children a vocation and give them something to keep them away from the streets and drugs. Goal 1: To save SMILE $247 a month, which can be used to support 3 children through school. Goal 2: To sustainably feed 31 children through a newly created SMILE Farm. 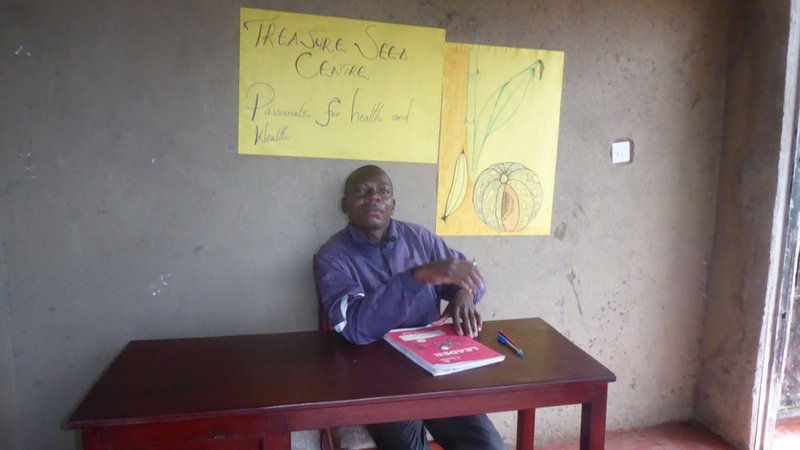 Goal 3: To create an agricultural learning space for street children in Masaka to learn basic crop growing skills. 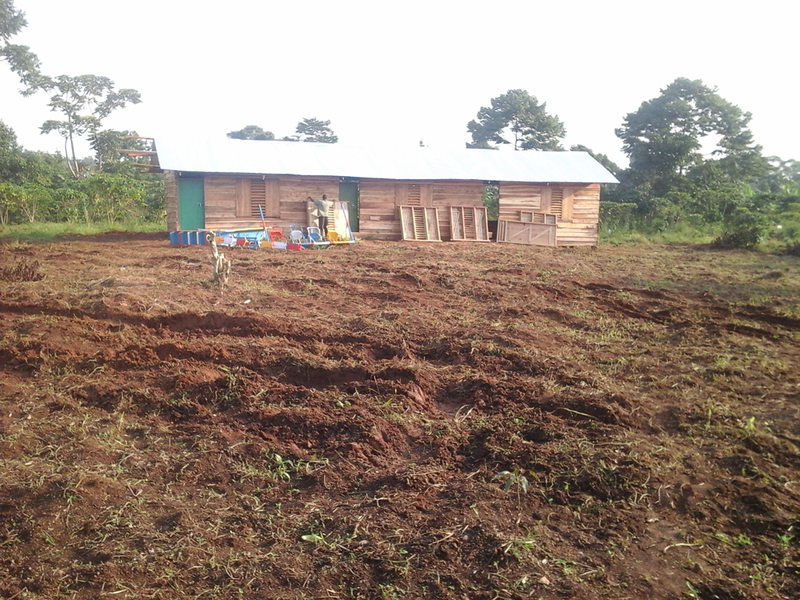 The piece of land where SMILE hopes to put a garden to feed the children that it takes care of. Kisa Kya Mukama is truly an organisation that demonstrates the incredible impact when like-minded people come together with a vision for a better community. This group, led by Kasimagwa, a respected elderly man, has targeted over 300 vulnerable children in the local community whose families are struggling to take adequate care of them and send them to school. Kisa Kya Mukama has 25 members, many of who are experienced farmers and they are using these skills to help the children they’ve identified. Their approach is to focus on maximising house-hold land by creating keyhole gardens that use space extremely efficiently or rearing pigs, which only requires a small area of land and limited manual labour. 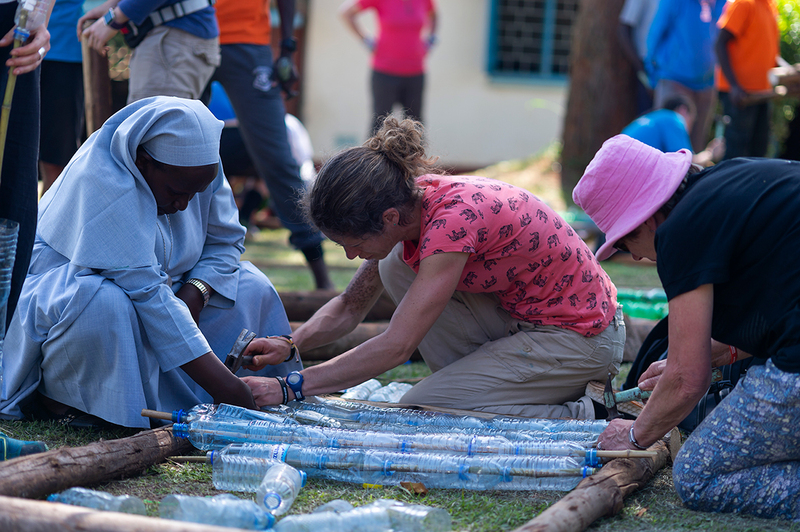 With fundraising support from The Uganda Marathon runners, Kisa Kya Mukama can grow their demonstration sites and provide much more outreach training to reach the 300 vulnerable children in their community. 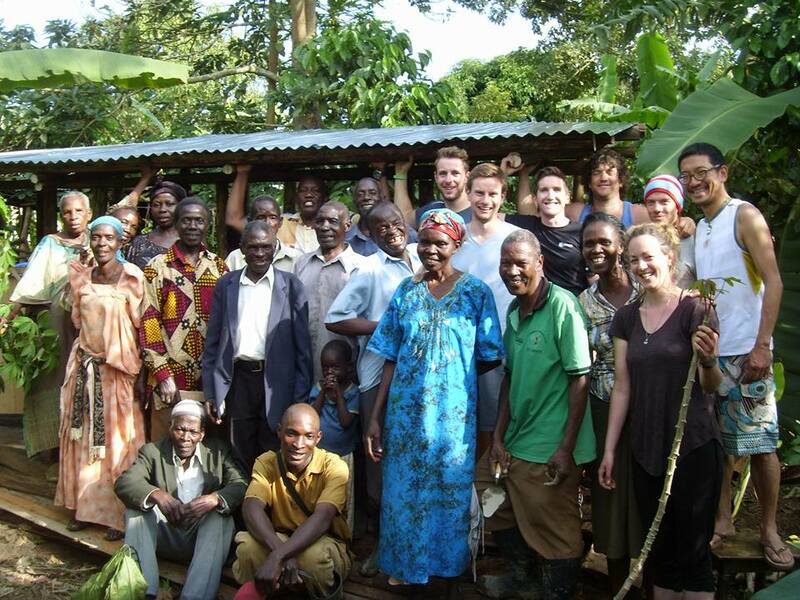 Goal 1: To train 300 families in best practices for space-efficient farming. Goal 2: To have 20 pigs passed on to other families, by giving them the first litter born by the gifted pig. Goal 3: To collectively generate $876 per month, which is to be used to support 300 vulnerable children through education. Roughly 70% of the Masaka Districts’ population are youths and, according to local district statistcs, 64% are unemployed. This alarming statistic means that youths are very often pushed into dangerous vocations, making them perceptible to gangs who thrive off prostitution and theft brackets. Since 2014, Classic Outfitters have been implementing their vision of “An empowered community with sustainable development programs” – something that almost perfectly fits in with The Uganda Marathon. Their solution to this youth crisis is to create businesses with steady markets that can employ youths and give them the skills to set out on their own. Classic Outfitters want to create a factory style tailoring production line that will exclusively employ young Ugandans, generating profits that will be used to upskill 350 youths each year. 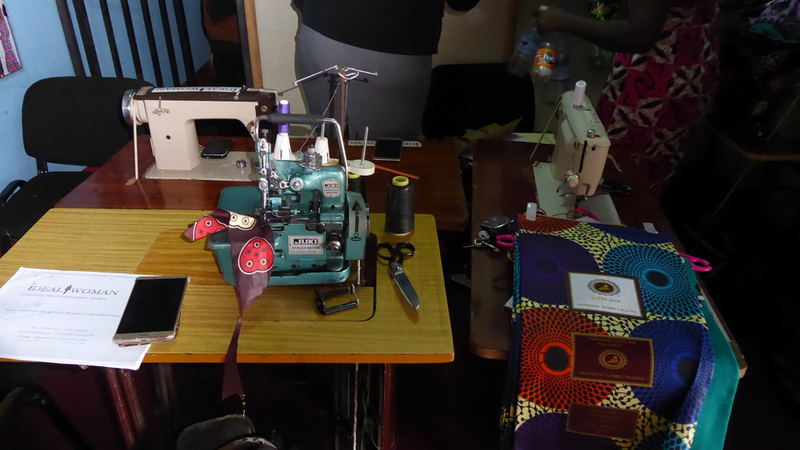 Goal 1: To train 350 youth aged between 15 and 25 years of age in tailoring skills. Goal 2: To ensure that 350 youth gain a minimum of $50 a month from their new vocational skills. Goal 3: To generate $442 a month to ensure training program is sustainable. Take part in a 10Km, 21Km or 42Km race to change & save lives. Support these amazing projects and have the Adventure of a lifetime! 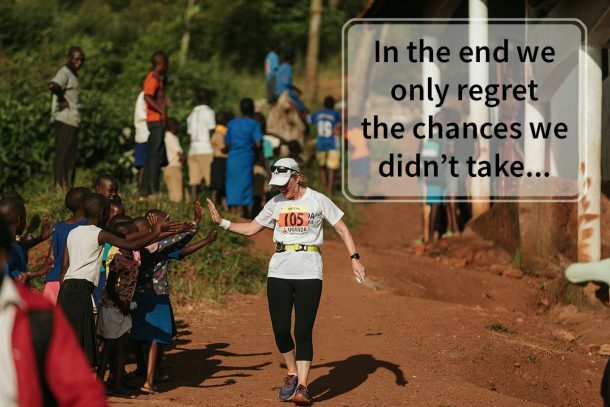 Take a leap and join us for the 2019 Uganda Marathon!